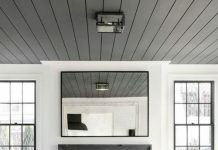 Home decor should reflect where you’ve been, who you are, and what you love. 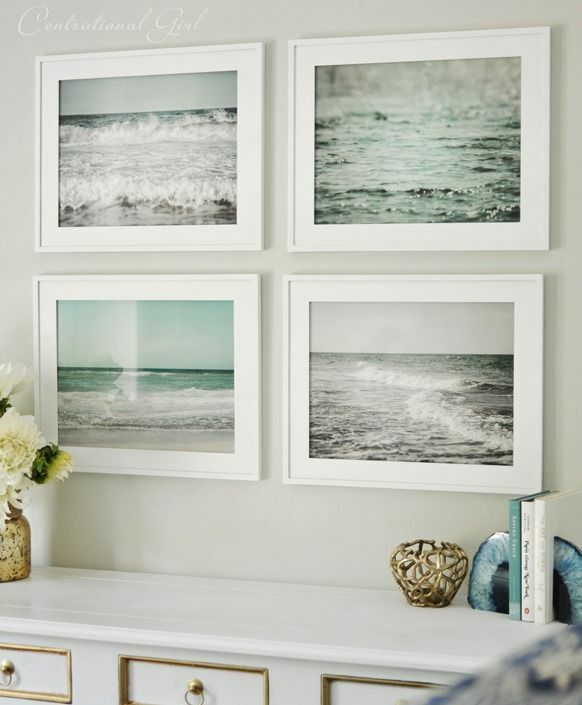 If that is the beach, here is some great inspiration to make it a beach getaway indoors, even if it’s not outdoors! 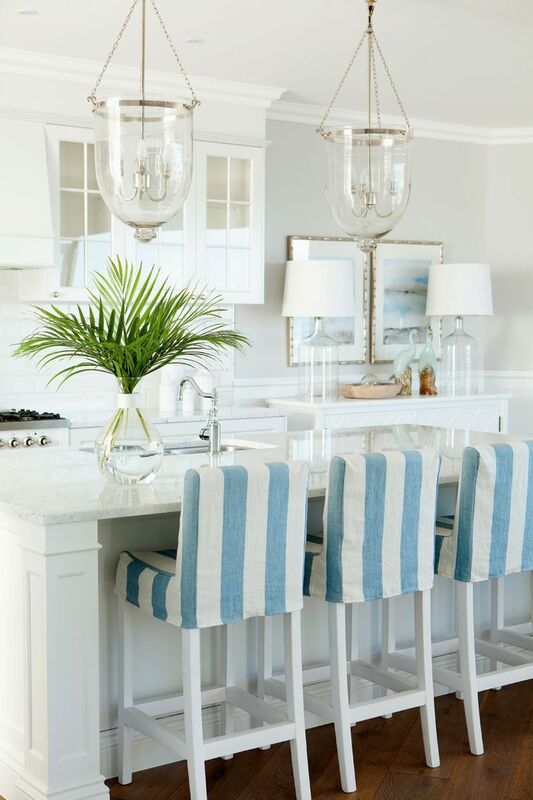 These light fixtures are gorgeous and remind me of a lighthouse style! 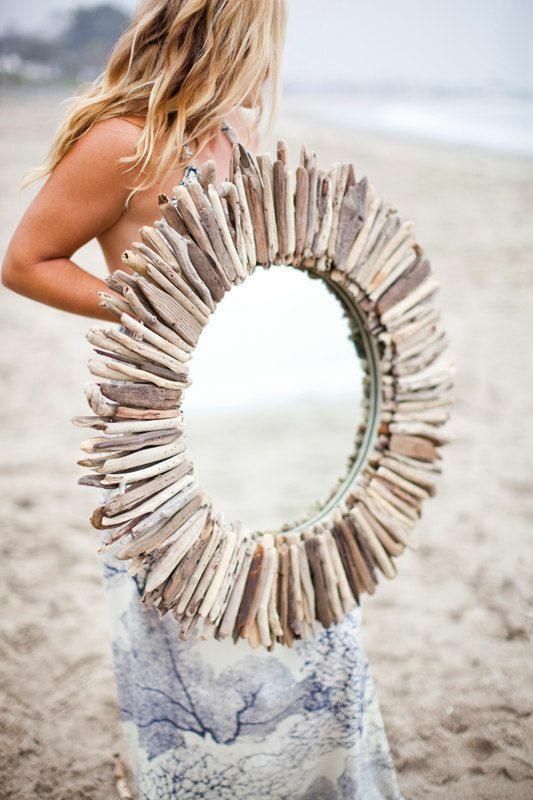 A driftwood mirror is an easy DIY that looks amazing! 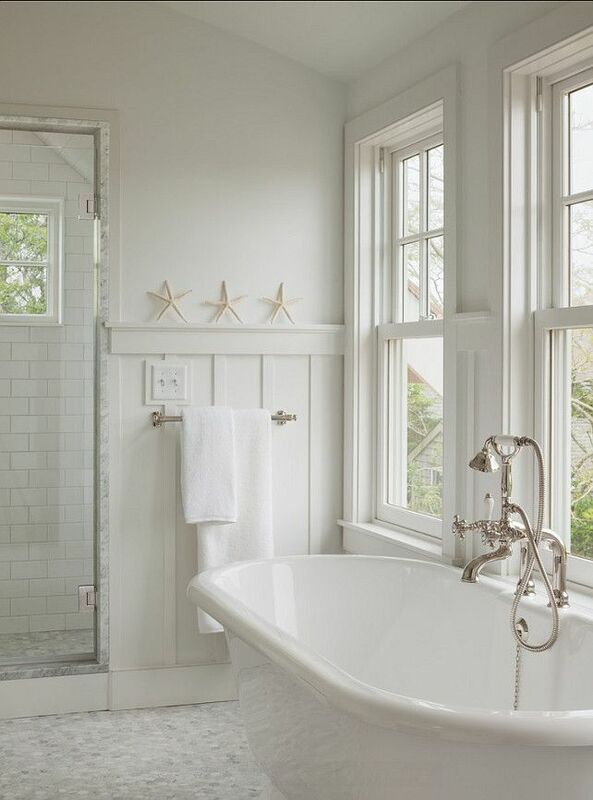 Beach decor doesn’t have to be blue, it can be simple and white too! 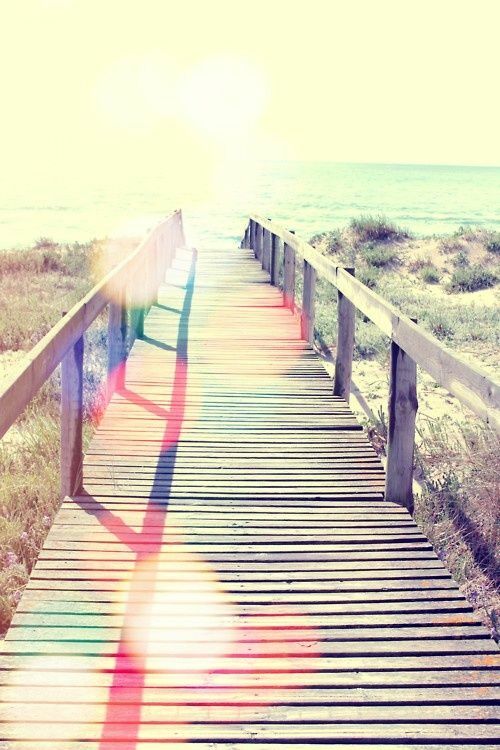 It can be as simple as some beautiful beach pictures. 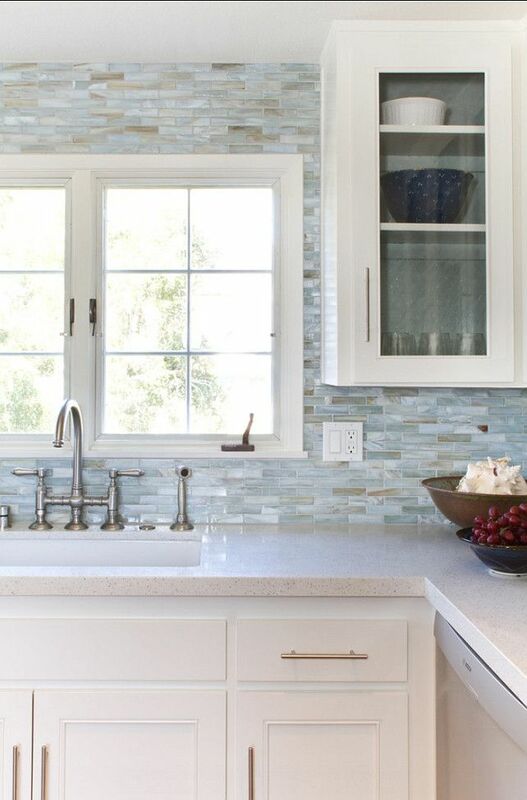 Or a back splash that reminds you of the ocean. 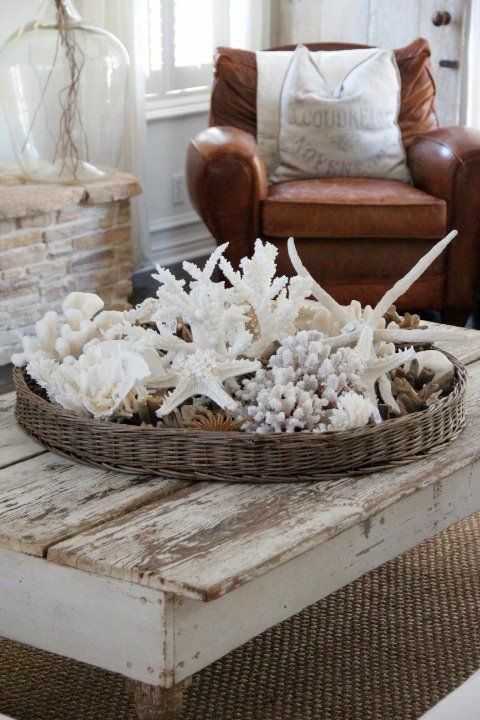 Maybe it’s a basket of seashells and sea life! 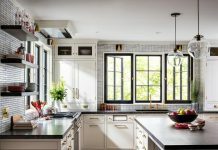 Whatever it is, make sure you enjoy it!